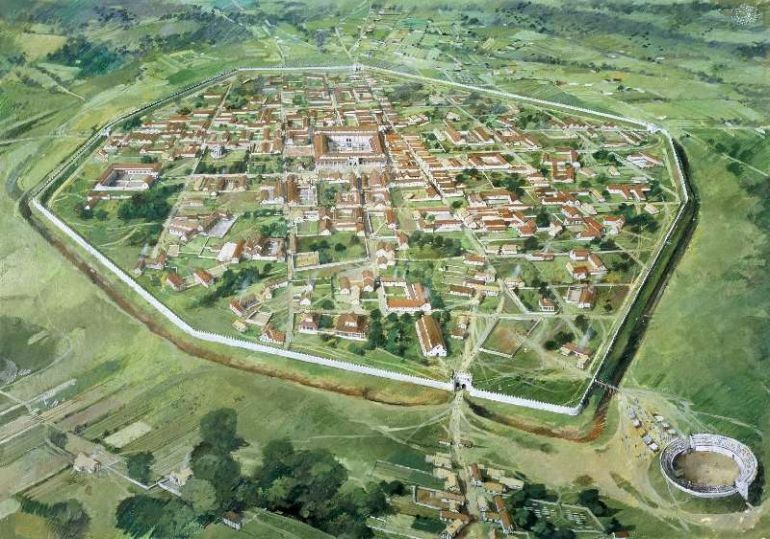 The village of Silchester in Hampshire, Britain, boasts an incredible historical legacy, with its role ranging from an Iron Age oppidum, a rather significant Roman town to even a late Anglo-Saxon manor. 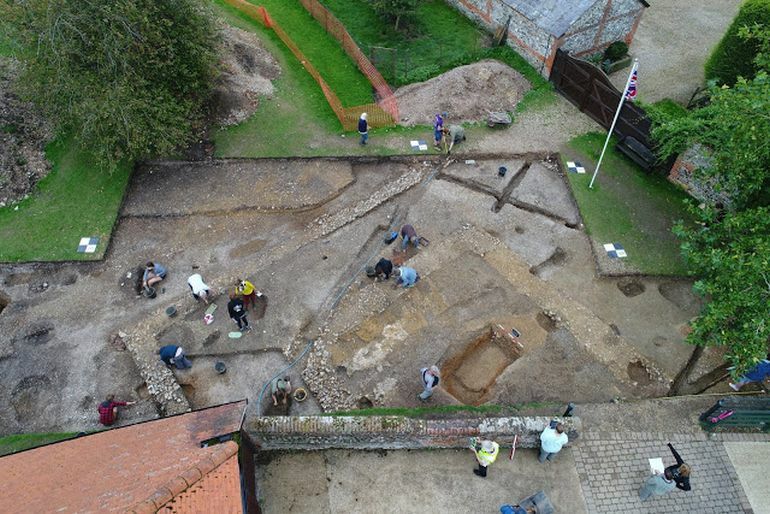 Pertaining to the ancient Roman scope, archaeologists at the University of Reading were successfully able to confirm the remnants of the third Roman temple in a farmyard – the very first to be identified in the town for more than 100 years. Incidentally, the farmyard is located within the perimeters of the Old Manor House, and as such the temple ruins were accompanied by rare tiles stamped with the name of Emperor Nero, who reigned between 54-68 AD. 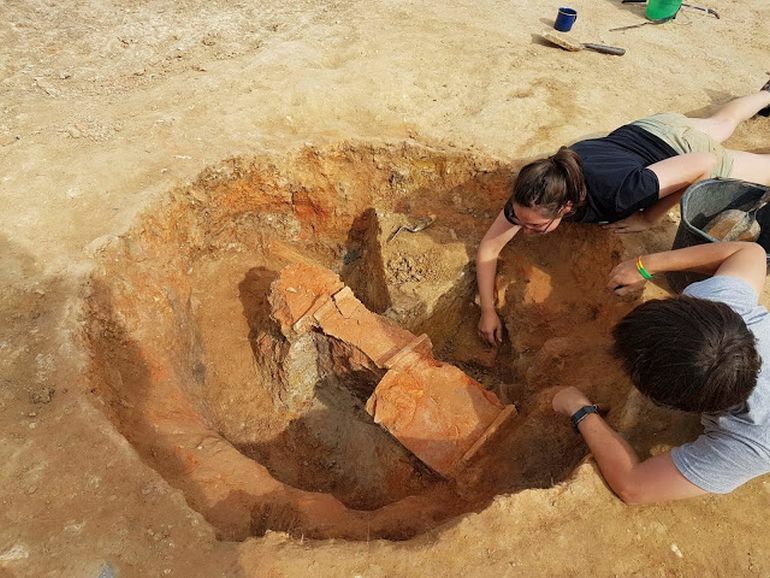 These findings are a crucial piece of the jigsaw as we look to solve the mystery of Nero’s links to Silchester. This is something that has puzzled archaeologists for more than a century. Only a handful of Nero-stamped tiles have ever been found in the UK, so to unearth this many was very exciting. It adds to the evidence that Nero saw Silchester as a pet project where he could construct extravagant buildings like those seen in Rome, to inspire awe among his subjects in the UK. As we mentioned before, the Nero-related evidence comes in the form of tile fragments found inside a ritual pit within the temple complex. These tiles, along with the ones found at the kiln site in proximity, were stamped with the Emperor’s name – thus suggesting how Nero possibly sponsored an entire building project at the Silchester site. And in case one is wondering, this particular site corresponded to the settlement of Calleva Atrebatum (or simply Calleva). 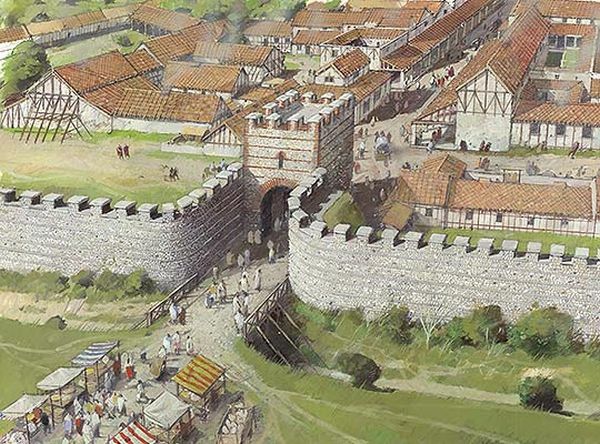 It started out as an Iron Age oppidum (fortified stronghold) of the Belgic tribe of Atrebates but was later transformed into a Roman town after their conquest of Britain in circa 43 AD. Reverting to the temples in question here, in terms of architecture, these structures are among the earliest known masonry constructions in the area. In essence, the trio of buildings stood stalwart as the core of the forum basilica, pertaining to the grand complex located at the center of the town. And befitting a typical Roman religious structure, the temples followed the ‘double-square’ plan, with the central cella (shrine) being surrounded by a portico (walkway) – as revealed by both ground-penetrating radar and a follow-up excavation. It should be noted however that such plans are rarely found in (Roman) Britain, as opposed to continental countries that bear the Roman legacy, like France and Germany. As for the physical characteristics of the third temple, it probably had an area of 50 ft by 58 ft, while rising to a height of 50 ft. And in spite of such substantial dimensions, it was dwarfed by the central temple, which is still the largest known Roman structure of its kind in Britain. Quite intriguingly, beyond the scope of dimensions, archaeologists are still not sure about the religious purpose of the entire precinct. But what they have hypothesized relates to a scenario where all the temples were built within a particular timeframe – possibly harking back to circa 50 – 60 AD. Now historically, Nero’s mercurial reign oscillated between plain brutality to utter extravagance. The Domus Aurea (or Golden House) is aptly relevant to the latter scope, with the Emperor actually building this ostentatious palace after the disastrous event of the Great Fire of Rome, in circa 64 AD. Considering this idiosyncratic element that is often associated with Nero, it shouldn’t come as a surprise that the Emperor wanted to project his imperial power in newly-conquered Britain too – via massive architectural projects. To that end, the archaeologists are looking forth to continue their excavations in the summer of 2018. 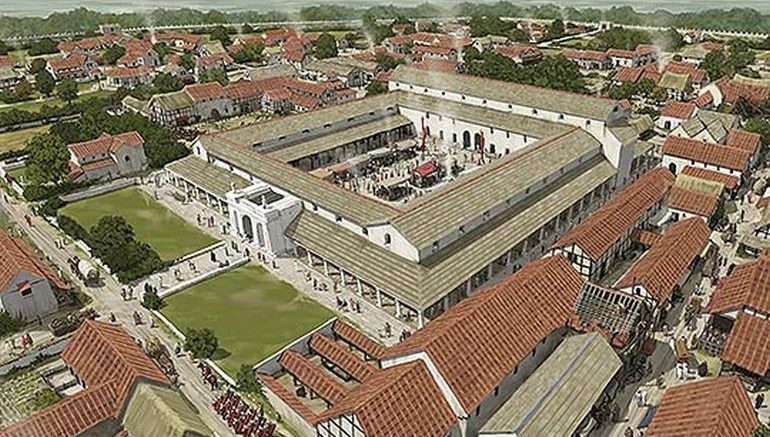 Their area of assessment will then stretch to the south-eastern part of the Roman town, encompassing the area of the public baths in Insula XXXIIIA where one of the Nero-stamped tiles was located.